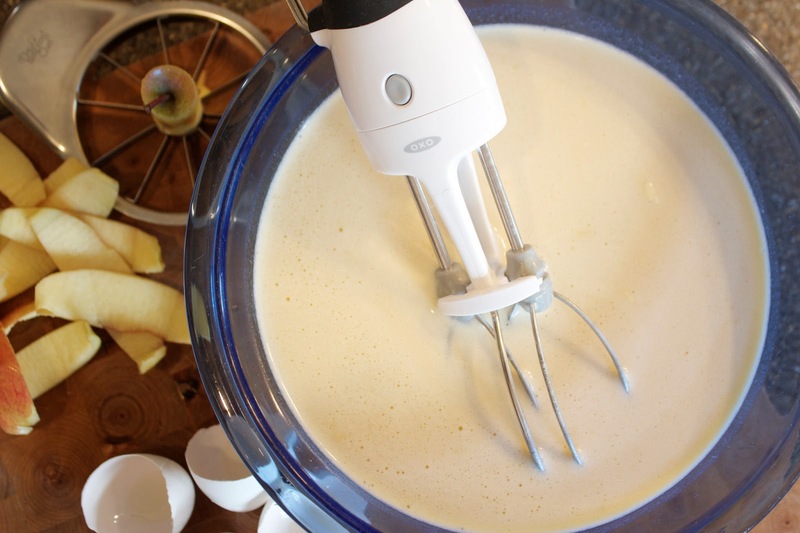 To mix them up we had an old hand held beater that had a gear mechanism that when turned would rotate the beaters in the bowl. It was an ancient thing even then and these German Pancakes were the only thing I ever used them for, it was just part of the process. I wish I had a picture of that old tool. OXO has dramatically improved on that version of my ancient hand tool but seeing this new tool brought back all of those memories of creating German Pancakes as a kid. The newer version is much easier to use, the gears don't get jammed, so it actually spins consistently and the best part is that the beaters are easily removed to clean up afterwards. 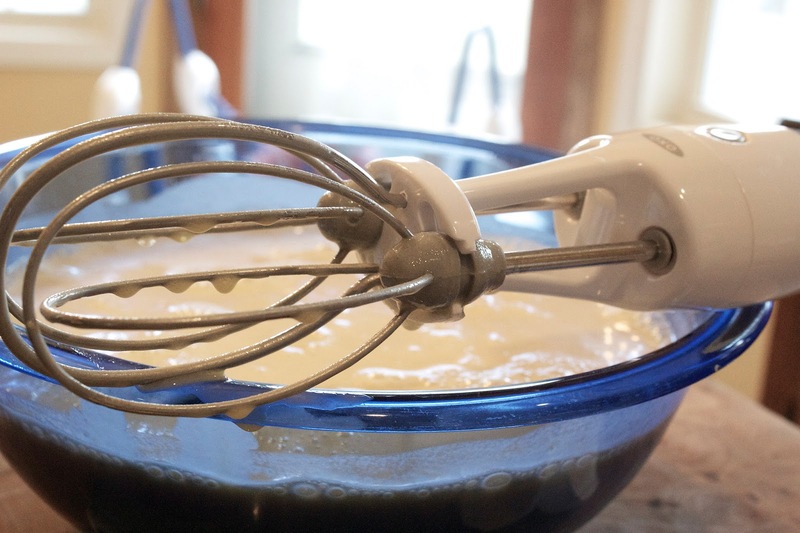 The recipe is still one of our family's favorites and we make it probably at least weekly. Most of the time it's for dinner. 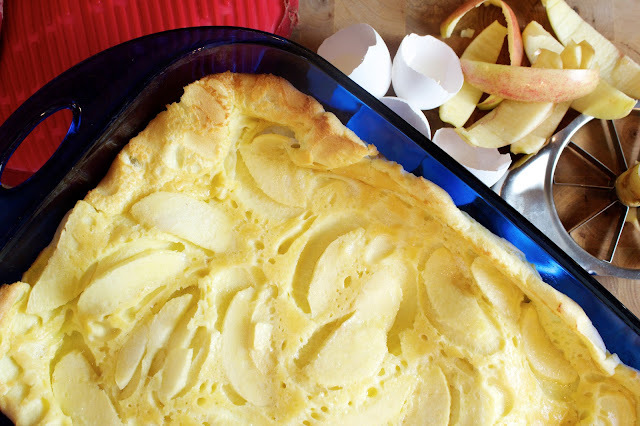 For extra variety, throw some sliced apples in the pan as it heats up in the oven with the butter! 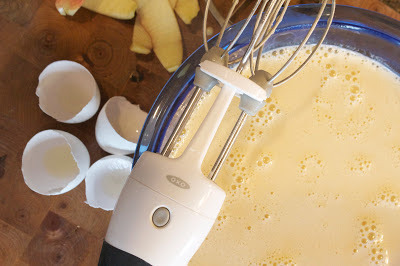 Combine eggs and milk in a large bowl and beat or whisk together. Add flour and salt and beat to combine. Heat oven to 400 degrees. 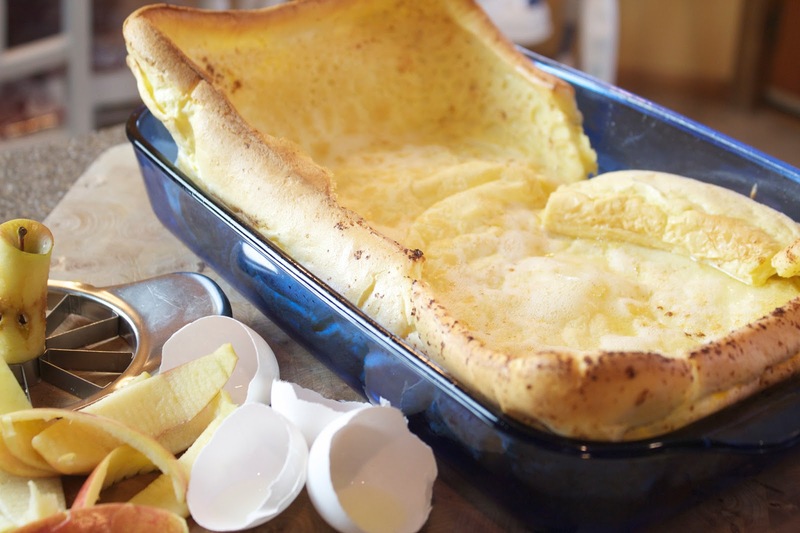 Place the butter in a 9x13 baking dish and place in the oven as it heats up. Once butter is melted add the batter to the hot pan and return to oven. Cook for 20 minutes. Remove from oven and serve immediately. * Disclaimer: I was provided an assortment of OXO tools to try in my own kitchen. I received no other compensation and all opinions are my own. I love how golden and puffy these get!